Prepare chicken according to instructions. Cover chicken tightly to keep warm. Make the honey sauce: In a small pan over medium heat, combine all remaining ingredients except sesame seeds. Bring to a boil, then reduce heat to a simmer. Simmer until slightly thickened, 1 to 2 minutes. Pour over warm chicken and toss to fully coat. 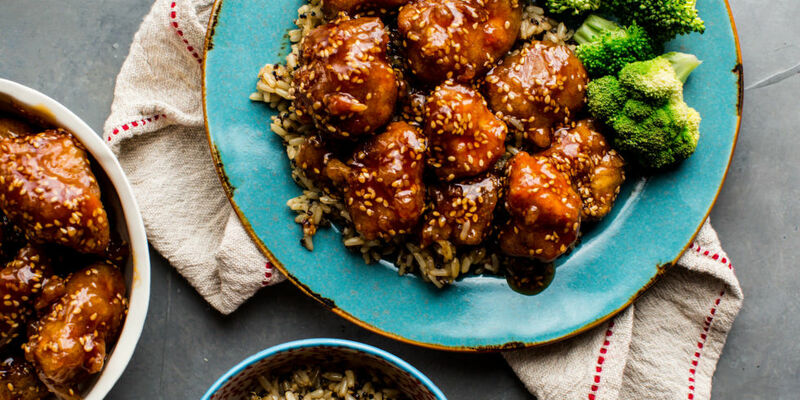 Sprinkle with sesame seeds and serve with your favorite steamed vegetable and grain.